A couple weekends ago, my hubby and I went to Kensington Market, to spend a sunny Sunday, walking around. We always stop by, whenever we’re there, because they have great pies. We usually get their sour cherry pie, because I love sour cherry…yum!! 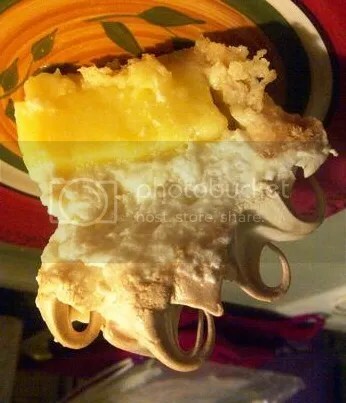 This past visit we got their Lemon Meringue pie, and it didn’t disappoint!! 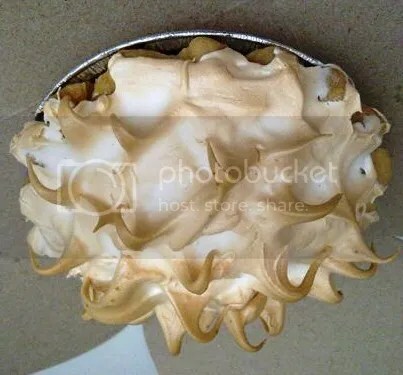 It was just a thing of beauty, with the sky high meringue, and very lemony…omnomnom!! 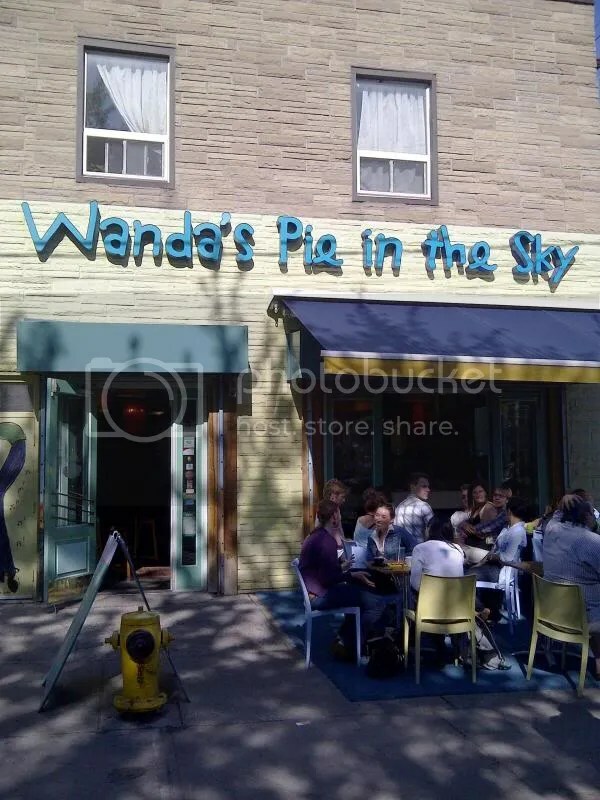 And not the artificial kind other, just pure lemon flavour – exactly the way I like it 😀 So if you’re ever in Kensington Market, stop by Wanda’s Pie in the Sky, for a cup of coffee and a piece of pie!! ← Hello Kitty Coffee Art! !